In 1851 this property was occupied by Mr Thomas Cook, a greengrocer, but by 1855 Mr W. Stantial ran his porter stores here. Porter is a type of dark beer developed in London in the 18th century. It's popularity declined from about 1860 but has seen a small revival since the 1970s. This property continued to be associated with the sale of beer for many years. In 1870 it was home to G.R. Stibbs Steam Brewery retail department and it later became the Suffolk Ale & Porter Stores Inn, which finally closed on the 31st December 1921. Click on this icon to download a list of many of the licensees of the Suffolk Ale & Porter Stores. In September 1922, the Cheltenham Original Brewery Co Ltd, the then owners, sold the shop to Mr Frederick Tyler, a furniture dealer, who remained here until the late 1920s. And then in 1930 began a trade that was to survive for 60 years, in the form of Mr Frank Gillett's fried fish shop. Mr Gillett passed the business on to Mr Victor Orchard in about 1951 and by 1961 it had become the Mermaid Fish Bar. For several years The Mermaid was run by Heather and Dino Houtris, who changed it in 1990 into a Greek restaurant called Dionysis. They sold the restaurant to Raviv and Sharon Hadad in July 2004 and it was transformed into a Middle Eastern restaurant called Brosh. 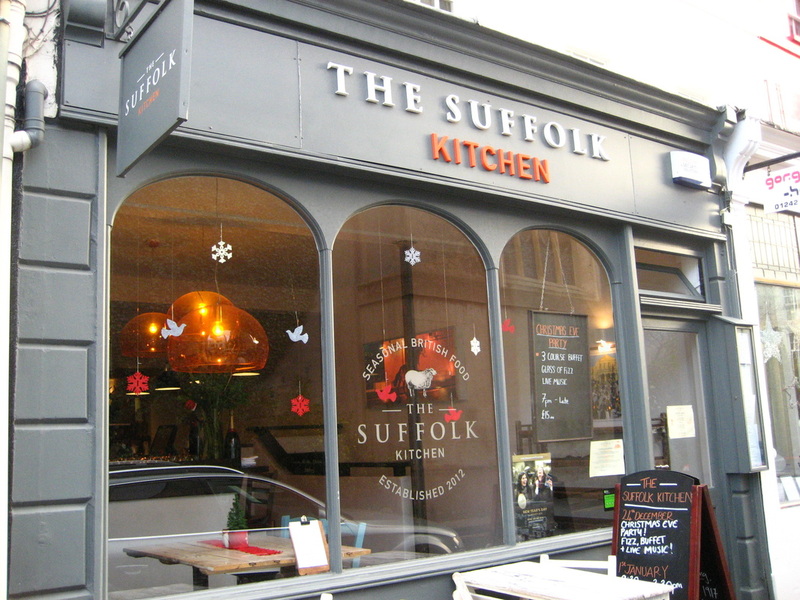 Continuing the catering theme, in February 2012 these premises became The Suffolk Kitchen, under Simon Davies, serving seasonal food from across the British Isles.